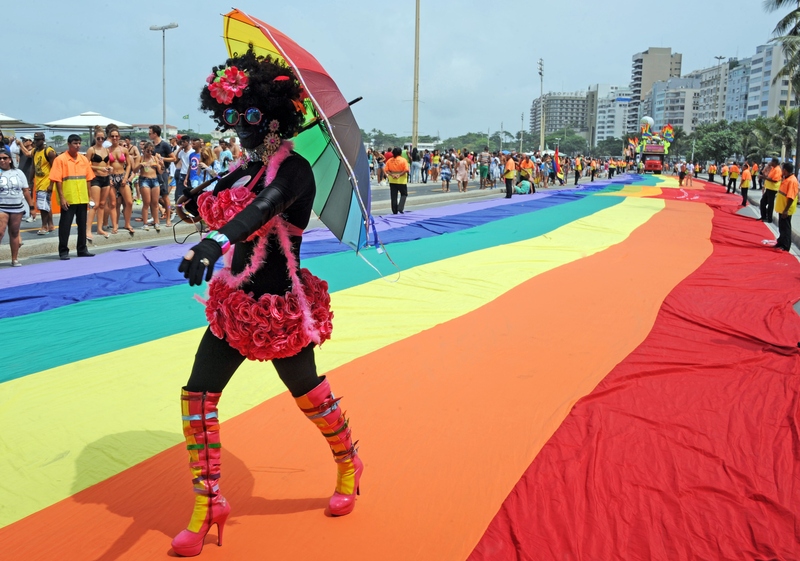 Throughout June, people all over the world celebrated the lives, histories, and legacies of LGBTQ people, and if you're an openly gay, lesbian, queer, trans, or gender non-conforming person, chances are the festivities were of some level of importance to you. But for many people, Pride Month can also be a confusing time, particularly if you're struggling with your sexuality, gender identity, or both. It can be comforting in confusing times to turn to words of wisdom, though — so maybe these quotes for people struggling with their sexuality or gender might help. When I first came out as a queer woman, a lot of different people told me a lot of different things about what it would be like to be queer and come out. I found this effective and helpful, but I was relatively lucky in that I had a lot of queer people around me to help me out. I realize that not everyone is this fortunate; however, thanks to the internet, it's easier than ever to reach out and find community, even if you aren't physically near one. Seeking wisdom from LGBTQ people who have already come out and who might also have struggled with some aspect of their identities can be enormously useful and affirming, no matter where you are in your personal journey. Here are 10 quotes from prominent figures in the LGBTQ community for those struggling with their sexuality. 1. "We are not what other people say we are. We are who we know ourselves to be, and we are what we love. That's OK."
2. "I believe in a future where we don’t have anyone telling us how to express ourselves — be that the bullies at school, the police, or even our own friends and families." 3. "You can’t move forward—you can’t have people love you, you can’t look at other people and accept them for who they are—unless you completely love yourself." 5. “The tide of history only advances when people make themselves fully visible." 6. "If I had to label myself, I would label myself as a gay man. With that said, I believe that love is the only thing that matters, and I would hope that anybody would leave themselves open — not to gender, but to love...If I fall in love down the road with a woman, I'm going to love that woman." 7. "This is who I am. I think it’s only hard if you’re trying to be something you’re not. Being who you are is really easy." 8. "These years in silence and reflection made me stronger and reminded me that acceptance has to come from within and that this kind of truth gives me the power to conquer emotions I didn’t even know existed." 9. "I hope my story resonates with other big dreamers, lets them know that no matter how huge, how insane, how unreasonable or unreachable your goals may seem, nothing — not even your own body — can hold you back if you are certain and fearless and, yes, even a little ballsy in your quest." 10. "We are ordinary people, living our lives, and trying as civil-rights activist Dorothy Cotton said, to 'fix what ain't right' in our society."